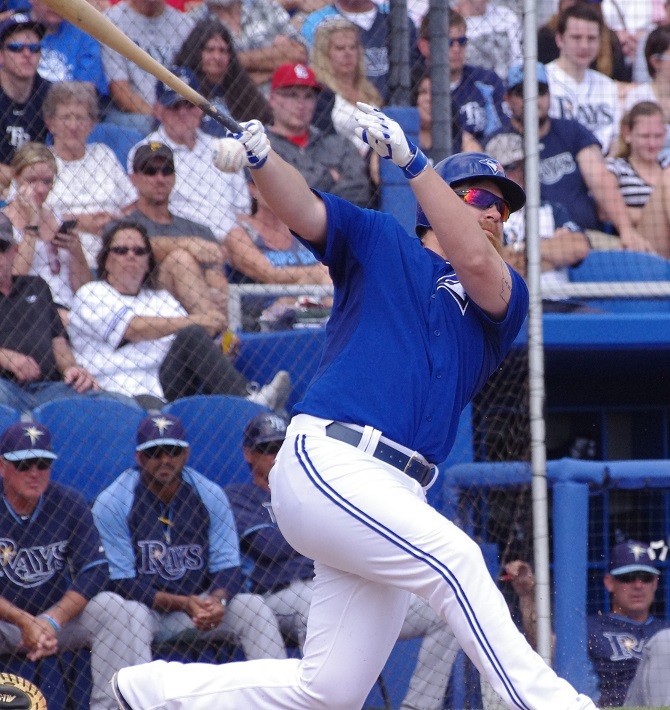 The Blue Jays have wound down their 2014 Grapefruit League action by defeating the Philadelphia Phillies 3-0 to go 14-13. The Jays still have a couple of games against the New York Mets in Montreal to go but “official” spring training games are done. It’s been an interesting spring training that teased us with false and disappointing rumours of a starting pitcher getting signed and a faux position battle at second base (and a real one for the last two starting rotation spots) but, for the most part, there weren’t a lot of surprises as we come to the end. As I discussed yesterday, the Blue Jays have set their opening roster with J.A. Happ on the DL and with Josh Thole starting the season as the backup catcher over Erik Kratz who had a great spring with the bat. Ryan Goins is the every day second baseman. Jose Reyes had some kind of injury concern. 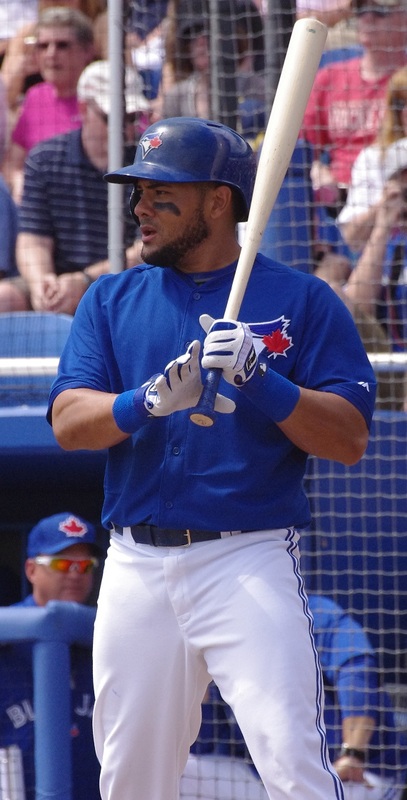 Melky Cabrera came out gangbusters. I’ll explain why it wasn’t a surprise to me. I saw him last season in spring training and he looked good, was hitting doubles like crazy and moved well. Without the tumour, I think he can go back to being that player. Adam Lind and Colby Rasmus swing the bats well. 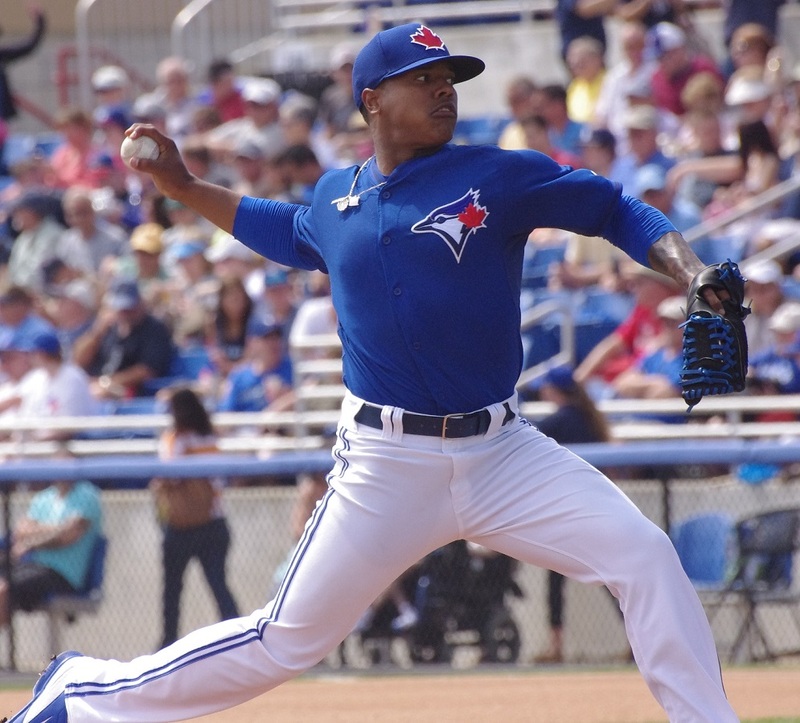 The Blue Jays kept all their out-of-option guys, including Esmil Rogers, Dustin McGowan, Todd Redmond, Moises Sierra and Jeremy Jeffress. Kawasaki not making the team. The way the race for the fourth and fifth starter shook out. I really expected to see J.A. Happ getting one of those jobs and didn’t expect to see Drew Hutchison just dealing the way he has. Hutchison’s resurrection and even extra velocity makes his return to form even more special. Kyle Drabek was out of contention early thanks to control issues that have plagued him throughout the last few years. Esmil Rogers wasn’t great and Ricky Romero showed flashed of adequacy. Happ was hurt and just imploded when he did pitch. I’m surprised that Dustin McGowan took the ball and ran with it. Not that I’m completely surprised about that. Just read what I wrote back in November. How long Aaron Sanchez stuck with the big league club. I love the fact that he did so well against big league competition (mostly). He didn’t give up a run but also showed some of the things that he’s going to need to work on: finishing his pitches down in the zone, finding the strike zone more often than not and finishing batters. That said, his 5.50 Ground Out to Air Out ratio is spectacular and if he doesn’t strike out a batter per inning in Double-A, I’m pretty secure knowing that batters are having a very tough time getting the ball in the air off of him and will be able to get himself out of jams with double plays. Brad Glenn showed some pop with the bat. I’m going to look forward to seeing him in the cleanup spot (or thereabouts) in the lineup in Buffalo this year. Actually, in general, the youngsters acquitted themselves well, from Anthony Gose to Kenny Wilson to Andy Burns to Derrick Chung. While the Jays don’t have a lot of big prospecty names at the top of the organization, there’s some depth there. Well, that wraps things up for the Jays as they’re about to head north to Montreal for a couple of games. The Big O is going to be rocking in Montreal. It’s always been a loud stadium, even when there were only 5,000-10,000 fans there on the occasions that I attended games; I can imagine how loud it’s going to be with 30,000-40,000+ fans that they’re likely to get with the Jays in town. I heartily recommend that you attend this weekend if you’re in the Montreal area. If not, there’s always Opening Day in Tampa on Monday. Finally, Monday’s Opening Day also coincides with the release of our 2014 Toronto Blue Jays Minor League Handbook. See below for details and for info about our Book Launch at Tallboys Craft Beer House. * Yes, I know that sentence sounds slightly dirty.